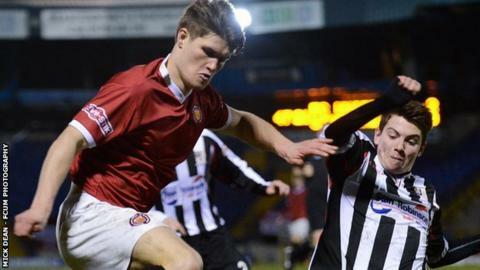 Chesterfield have signed FC United of Manchester defender Charlie Raglan. The 21-year-old will see out the rest of the season with the Northern Premier Division side before joining the Spireites in the summer. He is the second player to join the Spireites from FC United this season after midfielder Ollie Banks joined in September. "Charlie has good potential and we view him as very much one for the future," boss Paul Cook told the club website.